no two classes are the same! Highly addictive motivation all while being challenged! Dedicated to your growth,the break thru family is all about supporting one another. Often members become friends inside and outside of the gym. have kiddos? your little ones will be in a fun and safe environment, cheering you on from our Break Thru Kid's Club. We've got your back! 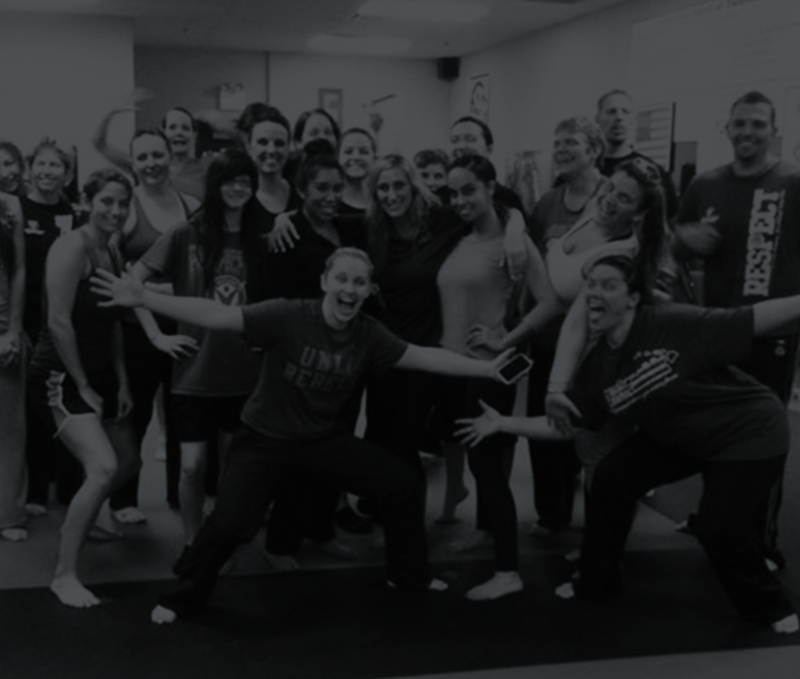 We are first and foremost a Martial Arts school where our combined years of experience has formulated the perfect cardio Kickboxing routine hands up! Family pricing and discounts for military, law enforcement, emergency responders and students. "Training with the Kohler's was one of the best successful training times I had, constantly pushing me to create obtainable goals, which is the most important to me...I know every new student she enrolls will be very happy!" "Since I began taking Mrs. Kohler's kickboxing class,I've lost over 50 lbs. Weight loss is still an ongoing battle for me, but meeting the Kohler's was such a big encouragement on my road to becoming healthier in life.They motivated me to be better and taught me that I had it in me to succeed. "Mrs. Kohler's inspirational communication and passion inspires every student to bring out their best no matter their level of fitness, tactics or form.. Mr. Kohler really helped focus on form and techniques. I would highly recommend any course the Kohler's instruct." The facility will only be open during class times and for private appointments. Follow us for events, schedule changes and holiday hours.